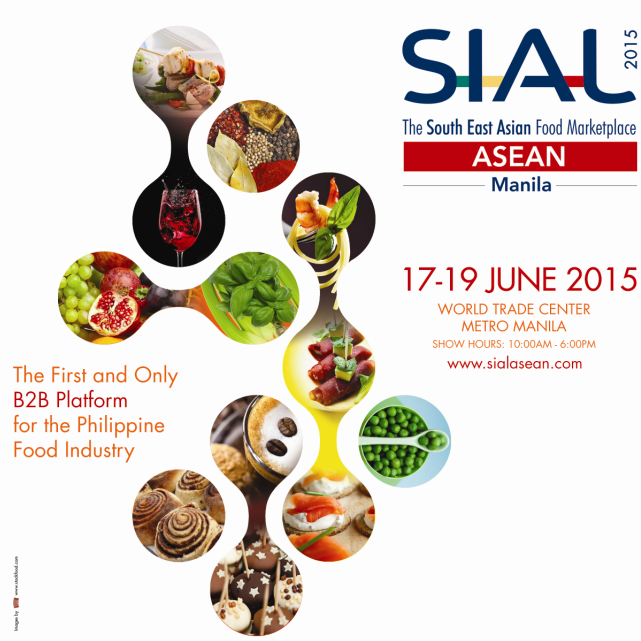 SIAL ASEAN returns to Manila after its successful first leg in the Philippine capital last year. Find out what you can expect from it this year. The world’s largest food innovation observatory, Salon International de I’Agroalimentaire or SIAL, sets sail on a voyage to tap the wondrous potential of the ASEAN food market and share the plethora of flavors that abound within each region. Eyeing a nation rich in cultural heritage and biodiversity, SIAL headed southeast and docked on the shores of the Philippines, a tropical destination that promises a true feast for the senses. Boasting of a GDP growth rate of 5.7% in 2014, the Philippines’ food and beverage industry, in particular, has been exhibiting tremendous growth with a reported estimate of 6,318 million USD of food exports and 7,801.79 million USD of food imports in 2013. Throughout the years, the country has also been regarded as the franchising hub of Asia as its franchised brands went from 50 to 1000 within a thirty-year span, of which 41% of the franchises are from the food sector. Seeing the country as the most ideal gateway to the region’s burgeoning food market, SIAL held its first-ever ASEAN leg in Manila in 2014, Philippines to deliver an all-inclusive business class event which allowed the pillars and amateurs of the food trade to discover new products and services as well as foster new connections in hopes an even more global food industry. As a follow up to the success of its initial installment, SIAL ASEAN returns on June 17 to 19 at the World Trade Center Manila, Philippines for another yummy and fulfilling round of economic flurry that seeks to bolster the country’s reputation as Southeast Asia’s most lucrative food trade hub. Serving up a total of 300 exhibitors from 19 countries, nearly 7,500 buyers from 33 countries flocked to the first-ever SIAL ASEAN to take part in the biggest B2B platform for the Philippine food industry. With four product zones namely Biscuit, Wine, Frozen Goods, and Meat—alongside 18 product categories including alcoholic beverages; bakery; canned and preserved products; confectionary; cured meats and deli; dairy products and eggs; frozen good; fruits and vegetables; gourmet and fine food; grocery products; health products and food supplement; ingredients and outsourcing solutions; meat poultry; non-alcoholic beverages; organic products; prepared meals; convenience products; seafood; and wines—SIAL ASEAN was a resounding success with a 95% rate of satisfied visitors and 94.4% rate of satisfied exhibitors. 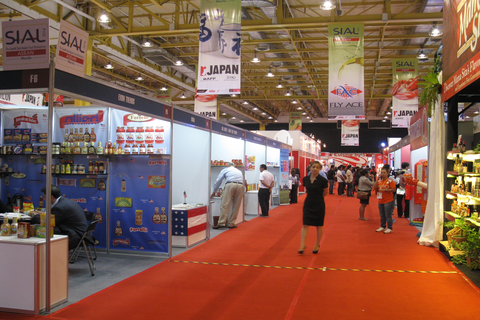 In addition, being the global food exposition that it is, SIAL ASEAN mounted 11 national country pavilions from eight countries around the globe such as Canada, China, Germany, Indonesia, Japan, Korea, Philippines, and the U.S. This year, SIAL ASEAN 2015 promises to deliver a more comprehensive trade show experience for trade buyers and industry professionals alike as it gathers an extensive range of exhibitors from all corners of the globe. Moreover, as SIAL ASEAN teams up with partner associations such as the Association of Negros Producers, Cagayan De Oro Chamber of Commerce and Industry Foundation, Inc. (Oro Chamber), DA CAR, Department of Agriculture, Department of Tourism, DTI 10, DTI-4B Region IV-B, Halal International Chamber of Commerce & Industries in the Philippines, Hotel and Restaurant Chef's Association of the Philippines, Hotel Restaurant Association of the Philippines, Industrial Technology Development Institute, Islamic Da'Wah Council of the Philippines, Meat Importers and Traders Association Inc., Philippine Amalgamated Supermarkets Association, Philippine Association of Meat Processors, Inc., Philippine Chamber of Agriculture and Food, Inc., Philippine Coconut Authority, and the Philippine Consumer Centric Traders Association, Inc., this year’s installment is poised to offer an insightful and compelling presentation that will surely enhance one’s experience. 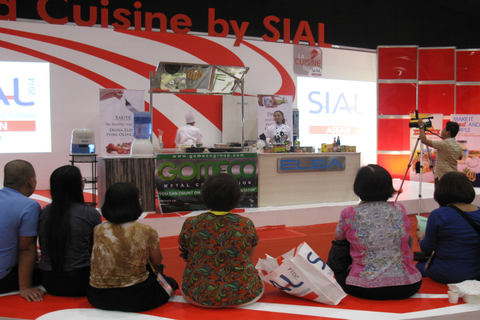 At SIAL ASEAN 2015, members of the F&B industry can expect countless hidden nooks and crannies to explore and discover. From getting a first hand look at the industry’s most innovative products and services to tapping into the boundless B2B opportunities that abound in each turn, the highly-anticipated food exposition also assures a highly entertaining and informative experience for its visitors as it cooks up a compelling line-up of event highlights. Aimed at showcasing the latest and most relevant trends in the food industry, SIAL Innovation will be featuring products that were carefully selected by a jury of industry experts. Welcoming international food service professionals and chefs, La Cuisine by SIAL is an area for in-the-kitchen demonstrations and trainings that will take place throughout the event. Whereas at the Wine Tasting area, guests are invited to take part in the tasting sessions as presented by professional wine buyers from various ASEAN regions. Proving to be an-inclusive trade event, SIAL ASEAN will be bringing together a handful of industry experts to discuss relevant topics that affect the F&B industry at the SIAL ASEAN Seminars. In keeping with the event’s thrust, which is to elevate the ASEAN food industry to uncharted territories, World Tour by SIAL is an insightful agrifood map made possible with the help of 28 magazine titles from all over the world that will provide a unique perspective on the plethora of tastes and flavors that the global food trade has to offer. For five decades now, SIAL has solidified its position as a worldwide food institution that has managed to expand over to different parts of the world including Asia, North and South America, and the Middle East – making it the world’s number one food exhibition network. Knowing very well the potential of the Philippine F&B industry, SIAL ASEAN believes the country to be the next frontier of the global food industry as it is a great investment point for food companies all over the world. If you’re a part of the food and beverage industry, jump aboard and explore the flavors of the world as SIAL ASEAN 2015, the biggest food gathering of the season,happens on June 17-19 at the World Trade Center Manila.